I figured I could experiment with some emersed growth. It's AS I in a snapware bin with a lid. HC on oneside, belem in the middle, and UG on the other side. I have a $10 bill to give a size reference and a slight slope reference. It's only water in there. Should I keep the lid on? I have a 15W GE CFL sitting right on top, will probably have it on for 8hrs a day (should i have the lid on or slightly ajar?). Do you dose ferts for dry start? What should the water level be? Any pointers is greatly appreciated! I just read my thread title. I didn't mean to say I have pointers for emersed growth. I needed pointers, but if this helps people then AWESOME. It's funny how forgetting a '?' changes a statement completely! Last edited by dwarph_shrimp; 12-16-2010 at 09:50 PM. Use plastic wrap instead of the lid because it will let more light in. Have just enough water in there to keep the uppermost pat of the soil wet. This is a lot easier to do when you don't have a slope. It looks like you should be okay if you have the water level just below the HC's soil level. If you notice that the top of the slope is drying out, add more water. You don't need to dose ferts if the AS is new. 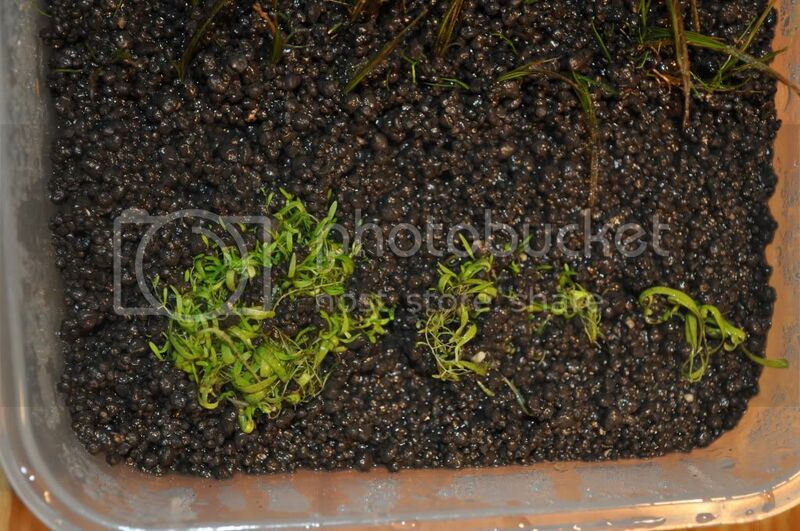 The light can be kept on longer since algae is not a big issue with emersed starts. 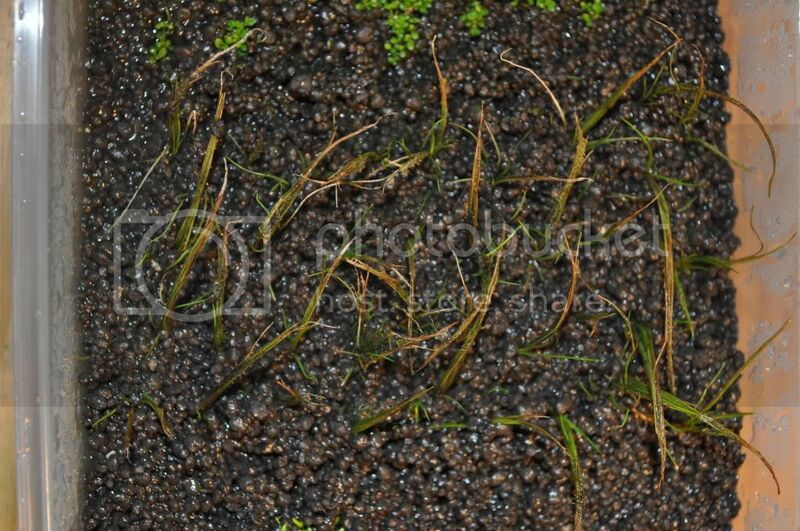 You need to keep it very most and humid in there otherwise the plants will quickly dry out while converting to their emersed forms. Good luck! I have done the emersed start using enough HC to cover an entire 90P and it was fun. I am currently trying this with UG as well but my UG was already in its emersed form. I got the UG from the November meet, HC from a trade at the same meet, and the belem was from this past meet. You had asked me if I knew how to plant it. I've just had it floating in my 10 gal this whole time. It's been bright light green and grew denser, but not really spread out yet. Instead of plastic wrap, can I use a big ziploc bag? The wrap will not cling to anything...so it'll let the humidity out. It will work in a zip lock bag as long as it fits and you can completely close it. This is a very helpful thread for a popular topic. 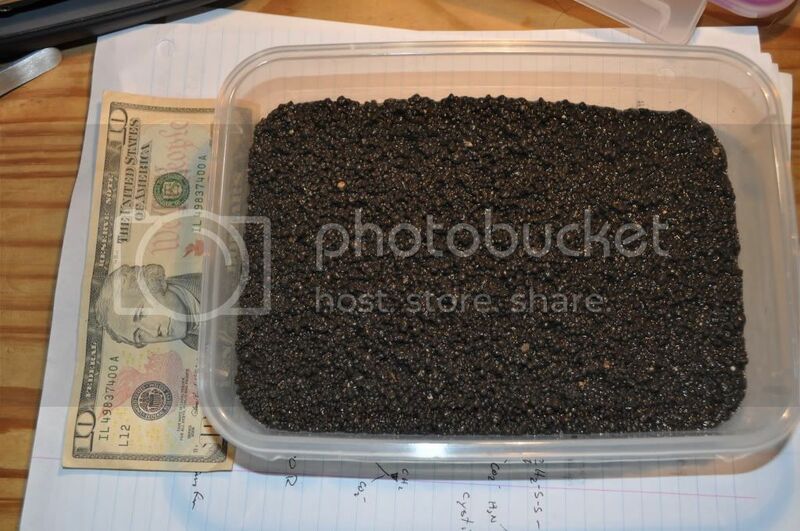 T, are you planning to take the whole thing out and plant it into a bigger tank? Why is the emmersing in a small container? I don't have anymore tanks to grow it out in, wait I do...but I have no more space. I probably will be transferring the belem to a tank, the HC to another tank, and the UG just for fun? For all intents, this was an experiment for experience and future reference. Honestly, idk. This is why I started this thread. 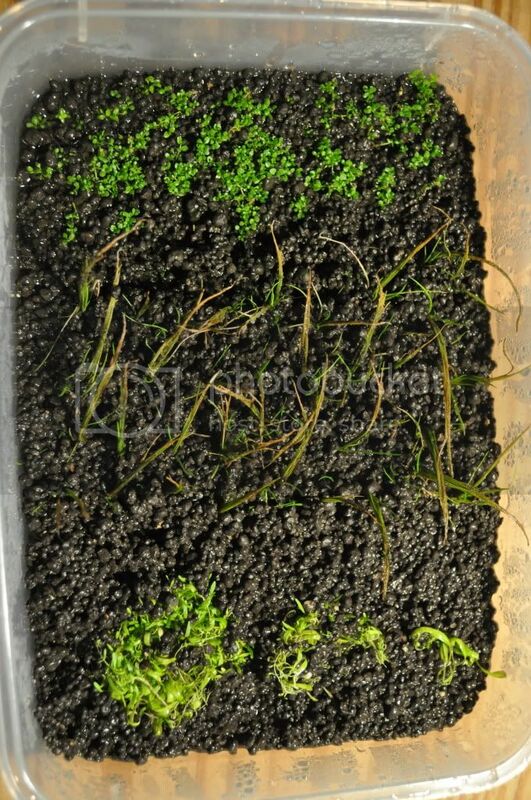 I've seen other people do emersed growing and it's just wet substrate, plant, light, cover, and voila...they have a patch of something (when they grew it, did they encounter something they know that I don't?). This way I can try to tweak it, get pointers, possibly improve, or something. 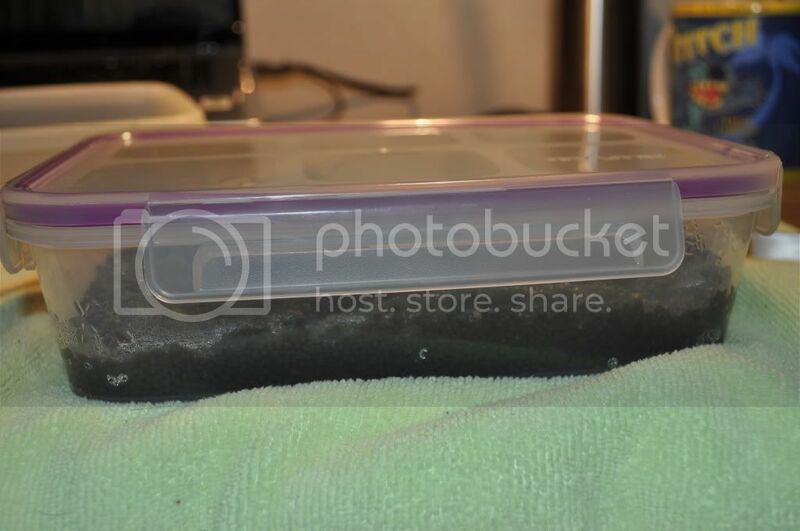 Since the water level is on the low side and Jon says to keep it moist and humid, I placed small pieces of soaked sponge outside the container to maintain the humidity. The light sits right on the top of the plants, maybe 3 inches above the substrate. I'm actually worried about overheating and cooking the plants. Is it possible to slowly immerse UG? Like since it is being grown above water, slowly introduce water 1/4 of the way above the plant let it get used to that. Then in a few weeks, go to 1/2 of the way up let it grow. 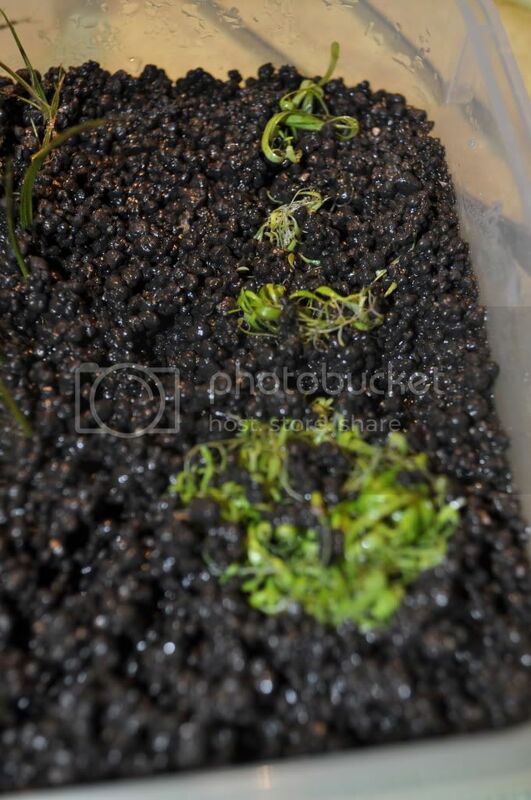 Then 3/4 of the way and eventually completely submerged. Regarding your "cooking plants with light", i want to say that is pretty close lol. Heat is one thing and light is another. Feel the seran (what ever you are covering it with) to see if it's melting or getting soft. I, as well, am interested in that question about UG. In about a month you'll know why when it all starts to grow together..
Ok, thanks for the pointer! For now though since I don't have space...I'm going to leave it as it is. Lots of people reported a large melts of UG once they imersed it. The key is to grow a lot of it so there is a better chance some will make it. I saw that post and it's what got me wanting to try it out. That 'green' was very nice...makes me want to go golfing! The HC will brown a bit and almost look like it is dying when you finally put it in water after growing it emersed. My 90P looked terrible for 2 weeks after finally filling it with water. 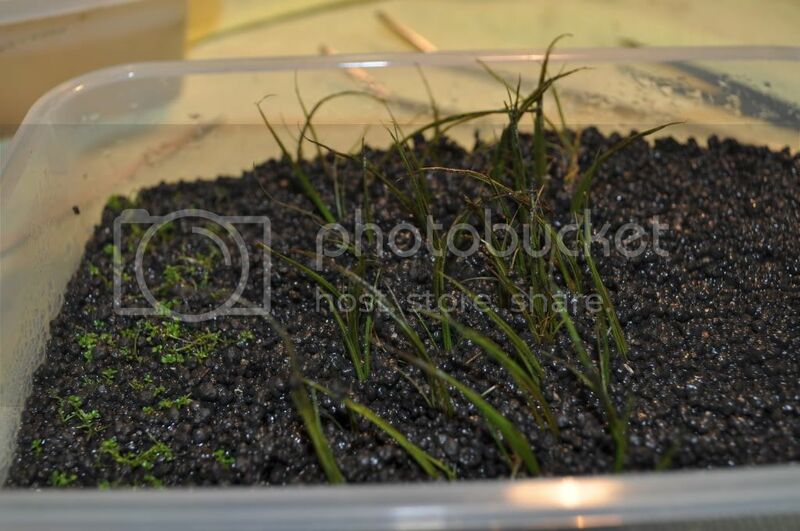 I want to try growing some emersed Starougyne Tropica 049. Anyone have some of the emersed form? 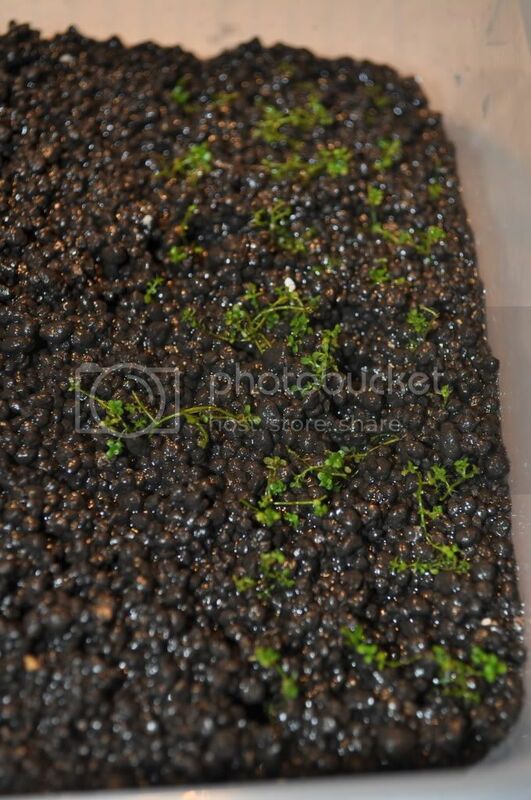 I'm growing Starougyne sp "Tropica" emersed. 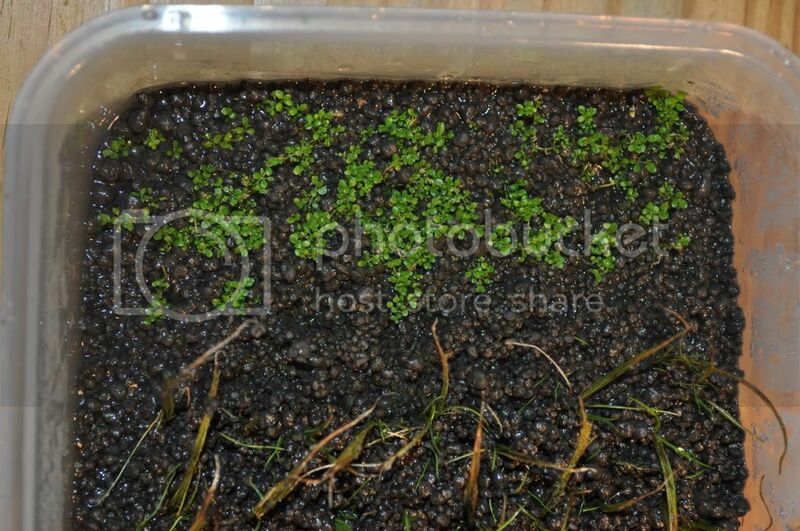 It seems to be transitioning well from submersed to emersed. 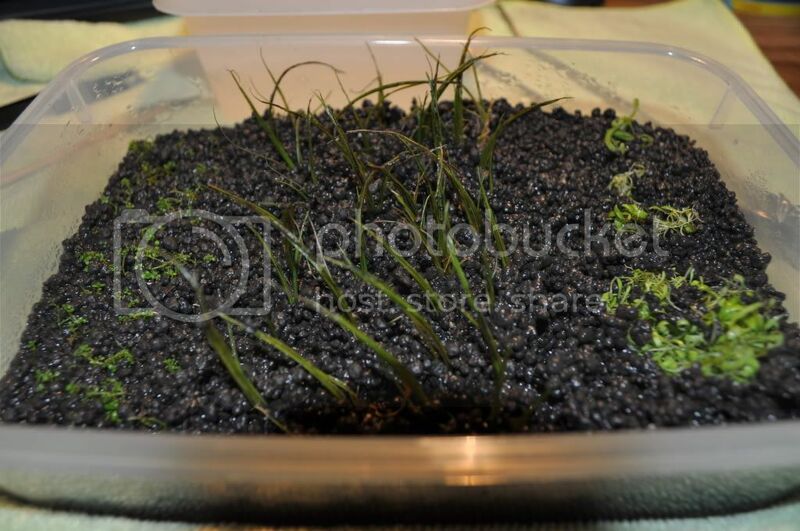 Justin could you please post a picture of the emersed Tropica 049. I am curious to see what it looks like. Here's an update to what the plants look like now, it's been almost 2 weeks. 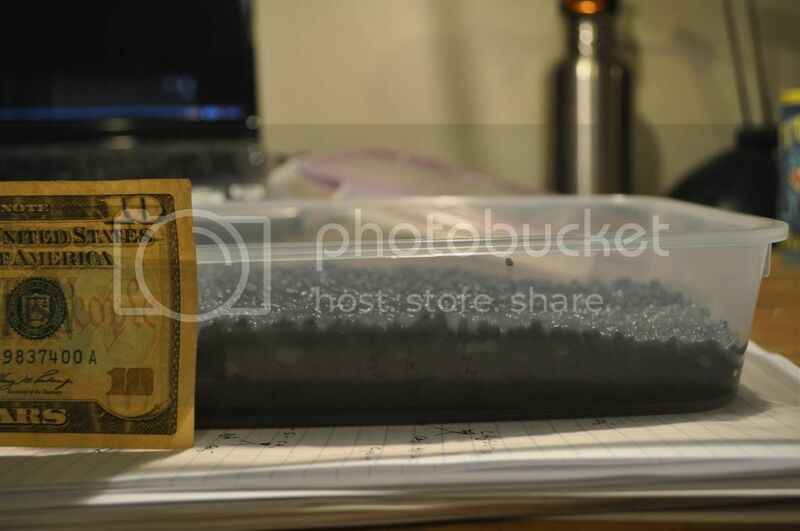 They are still in a ziploc bag with a wet sponge to maintain humidity. I opened the bag to let it aerate for half a day on day 7. The light is still on for 10 hrs a day. I haven't added fertilizers or anything except water. I don't think the UG as grown. The belem doesn't look so hot, but I think I see some small shoots. The HC seems to be doing the best. My UG is turning dark green and starting to spread but I am getting some fuzzy white mold. Suggestions? Benefits of Emersed growth? Cons? Emersed growth worthwhile on a 30-C?